“Martin Maudsley has an extraordinary gift for taking the wildlife and landscape features of a site and weaving them together into the most fantastic fables and wild tales.” Mandy Leivers, Avon Gorge and Downs Wildlife Project. With a professional background in ecology, Martin has a particular passion for storytelling outdoors and with nature themes, especially trees and woodlands. He delivers sessions for school groups combining storytelling with environmental education, and has worked with a wide range of local groups and national organisations as a storyteller and facilitator using stories for creative engagement with the local environment and the natural world. He is often in demand as a storyteller for seasonal celebrations such as Apple Day, May Day, Wassailing and mid summer/winter. 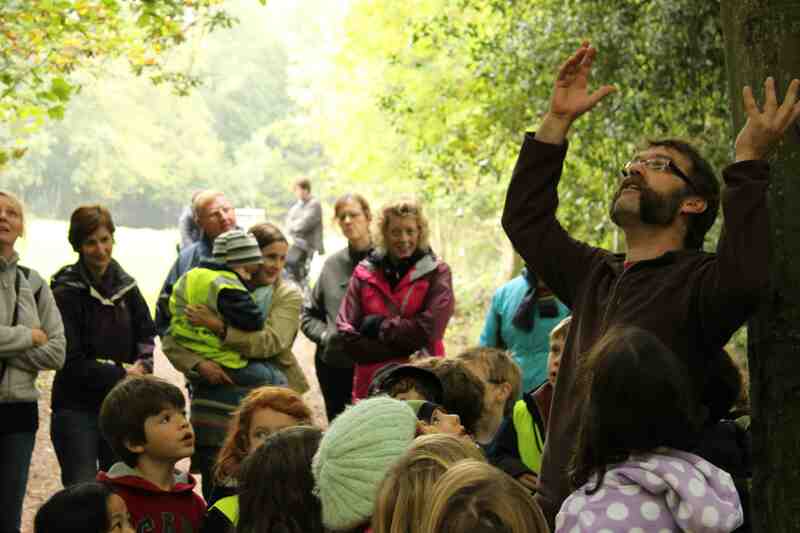 Martin runs unique, site-specific storytelling walks for all ages combining landscape features and folklore, such as Clifton Downs and Leigh Woods in Bristol. He also runs environmental story-making events – where particpants weave together spotaneous stories in response to the geography and natural elements of a space, eg Multi-Story Waters project on the River Frome and Local Journeys at Brean Down beach. “From the moment you kicked off with your stories of trees the children were entranced, and you brought out so much from their imaginations. It was a joy to see you leading the troops around the grounds and the quality of your storytelling was superb.” Headteacher, Henleaze Junior School. “Your contribution has been much talked about and celebrated so thank you very much!” Jess Allen, Multi-Story Waters, The Environment Agency, 2012.